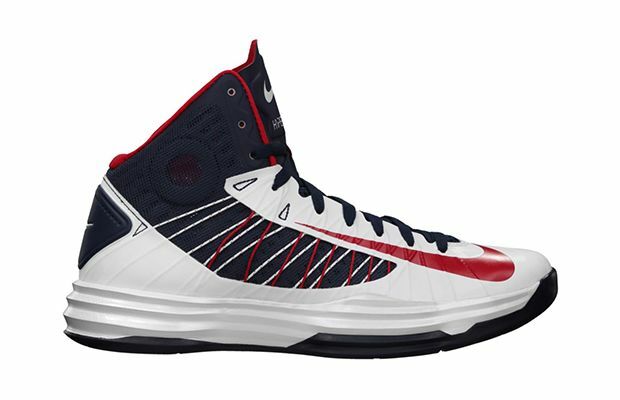 Just in time for the 2012 Summer Olympics comes another Nike Olympic collection, this time featuring the Nike Lunar Hyperdunk. Four different colorways make up the collection that does not include Nike Plus version of the shoe, listing these at $140 retail. 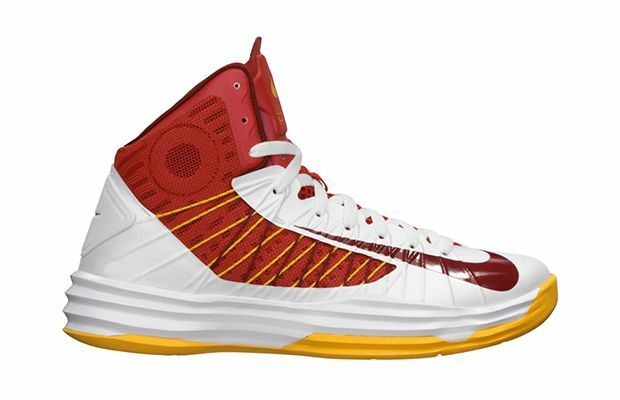 However, they still feature the Hyperfuse construction, Lunarlon-cushioning and Flywire stability. 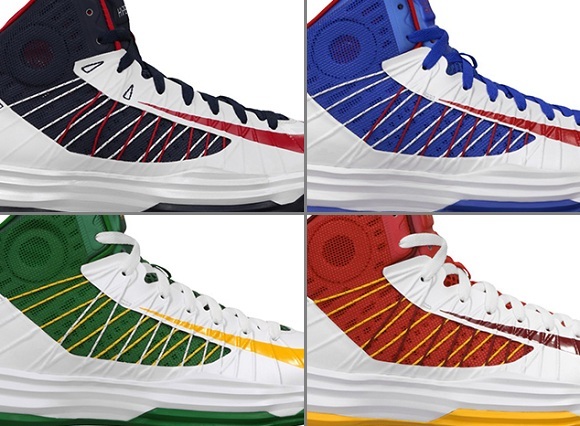 All four colorways feature the national flag colors of the teams participating in the Olympics this year, with a possible flag perhaps placed on the tongue. The pack is set to release July 14th at Nike retailers across the country.